Gfive International Limited was established in 2003 and is a Chinese Electronics company. Gfive is an emerging manufacturer of smartphones in India and became the tenth largest maker of mobile phones worldwide in 2010. Gfive launched the President Smart 1 in December 2014. This device is a budget-friendly smartphone and comes with a large number of features as compared to other phones in its range. Talking about the specifications it includes a 1.2 Dual-core processor coupled with 512GB RAM. It boots on Android 4.4 KitKat and is powered by a 1400 mAh Li-Ion battery. The device has a 4-inch display with a resolution of 480x800 pixels. The president Smart 1 houses 4GB expandable internal storage. As far as the cameras are concerned, it is equipped with a 2MP primary and a 0.3MP secondary camera. For connectivity options it includes 3G, Dual-SIM network, GPRS, Bluetooth, and Wi-Fi. 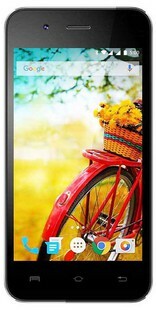 The Gfive President Smart 1 price starts at INR 1,799 in India. Gfive President Smart 1 full specs and reviews as of Apr 2019. Buy it here!